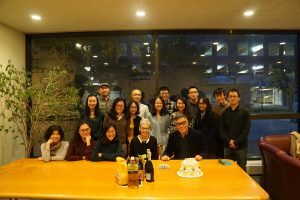 A secret surprise party for Prof. Wu Hung’s birthday was held in the art history department lounge this Monday. 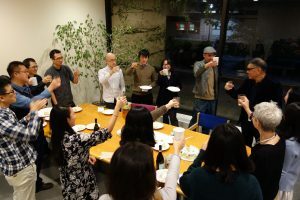 Students gathered to offer him a toast during the party, and cake was promptly consumed. Wonderful memories were shared on this special occasion. We look forward to celebrating “China, Art, History: New Orientations” this weekend!